I reviewed the first book in this series, Dorothy Must Die, a few months ago. 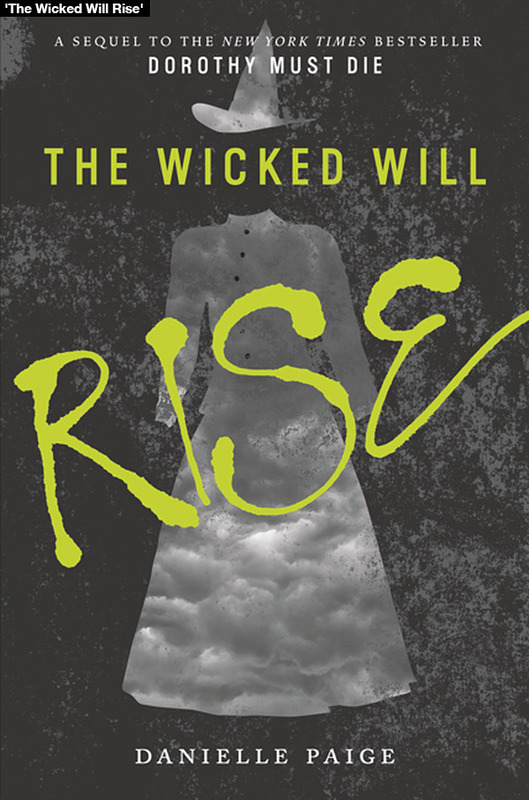 I’ve actually been thinking about reviewing The Wicked Will Rise since I posted that review, but just never got around to it. Now I have (clearly). So let’s start with this: I still love Amy. She’s one of the most realistic heroines I’ve read, and all this while she’s waltzing around Oz being used as an assassin, basically. That’s actually a bit of a stretch, but never mind. She makes stupid choices when she’s under pressure and gets angry and basically just acts like a teenage girl. She’s getting darker, too. She’s not the Amy Gumm that landed in Oz however much time before. She’s really starting to turn Wicked, really starting to grow into her powers, and I love that. The author didn’t shy away from how she acts while she’s using her powers, instead she writes Amy to get darker and darker as the book progresses. She’s a bit less snarky in this book, but it’s completely understandable. Most of my problems lay with the romance. I don’t like Amy and Nox’s romance, it feels weird and not right to me. Unneeded. It was thrown in like an afterthought, and I kind of wonder if that was what it was. The world building, however, is amazingly fantastic. The author strides to make sure that we know this Oz is different from the one we know. Dorothy was not an improvement, the Wicked might not have been all that bad, and the Good should not be trusted. The ending of the book was amazing. When I finished, I had to put the book down for a little while because of the “whoa” feeling it gave me. Can I have the third book now, pretty please? Because I don’t think I can wait much longer. Meanwhile, l am reading my impressive library pile, trying to figure out how to take decent photographs of library books, as well as other stuff. That sounds very vague. But I wrote about 3,100 words yesterday, which is great. Meanwhile, my TBR list just keeps going up, up, up because I’m following all these new blogs plus now I see all these pretty pictures of books I haven’t read on Tumblr and basically I don’t think my TBR list is going to sink below like 200 books ever again.